There was once a princess who worked as an operations manager for a very large, very busy, off-price retailer. The princess was required to do hundreds of different tasks each week as well as attend meetings and manage a staff of nearly 100 employees. The princess relied on her trusty planner to keep her life organized so she never let a task bubble go unchecked. One day, the princess was going about her work and was notified that she missed a meeting with the queen. "How could this be?" she thought to herself. Her planner had never failed her before. Flipping through her planner pages, she realized that she missed this meeting because she forgot to move an appointment from her monthly calendar to her weekly calendar. Though the princess was faithful at setting alarms on her cellular device for such things, because she was unaware of the meeting, no alarm was set. 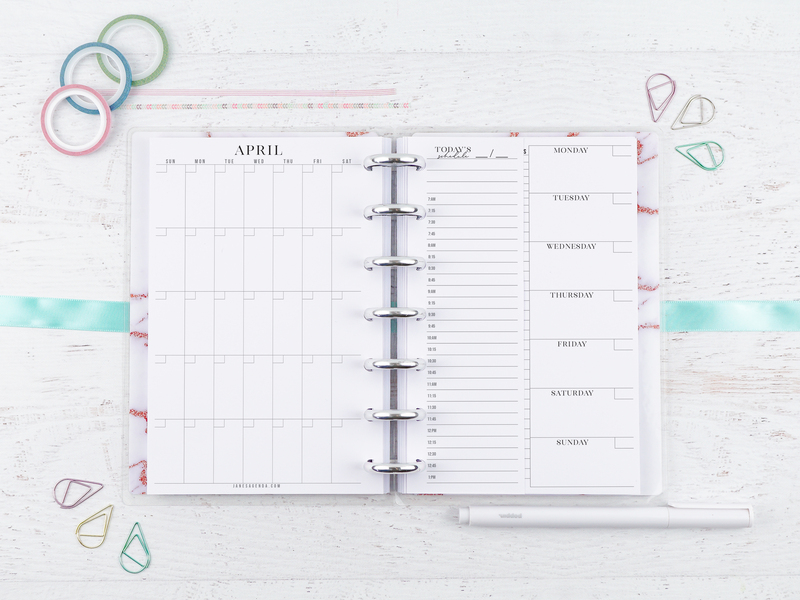 Sitting in her manager's office, getting disciplined for missing the meeting with the queen, she dreamed of a planner spread that would let her see her month, week, and day, all in one view. A monthly page that lets you see your whole month unobstructed, with plenty of planning space on the back as well. A weekly page that doesn't need to be flipped to get to. You won't forget to move something over when you can see it all at once. 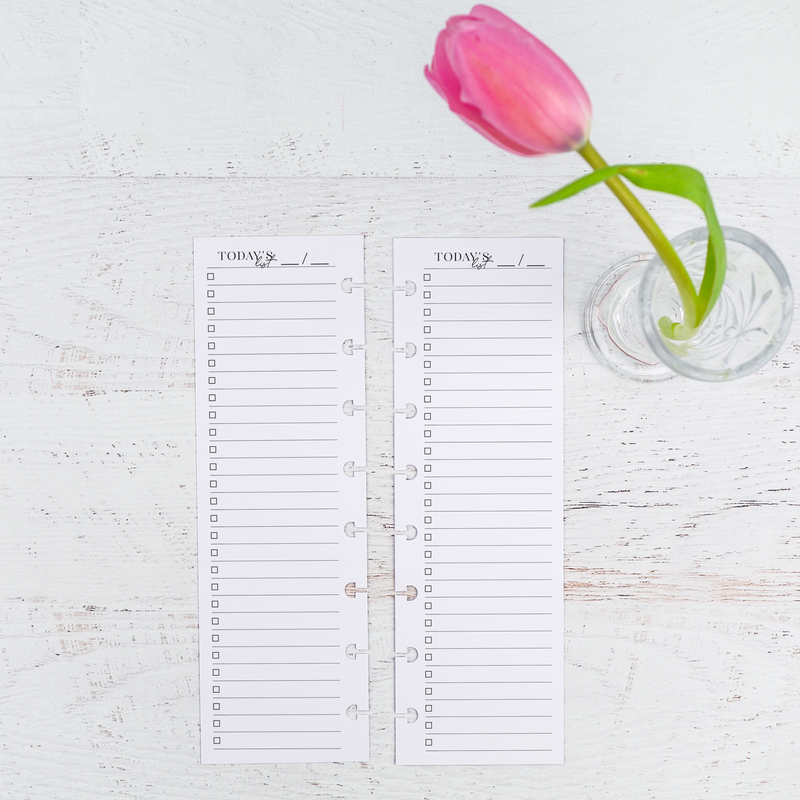 A half-sheet: plan your day, take extra notes, or make a list. Plan the way you need to plan when you pick your perfect half-sheet. 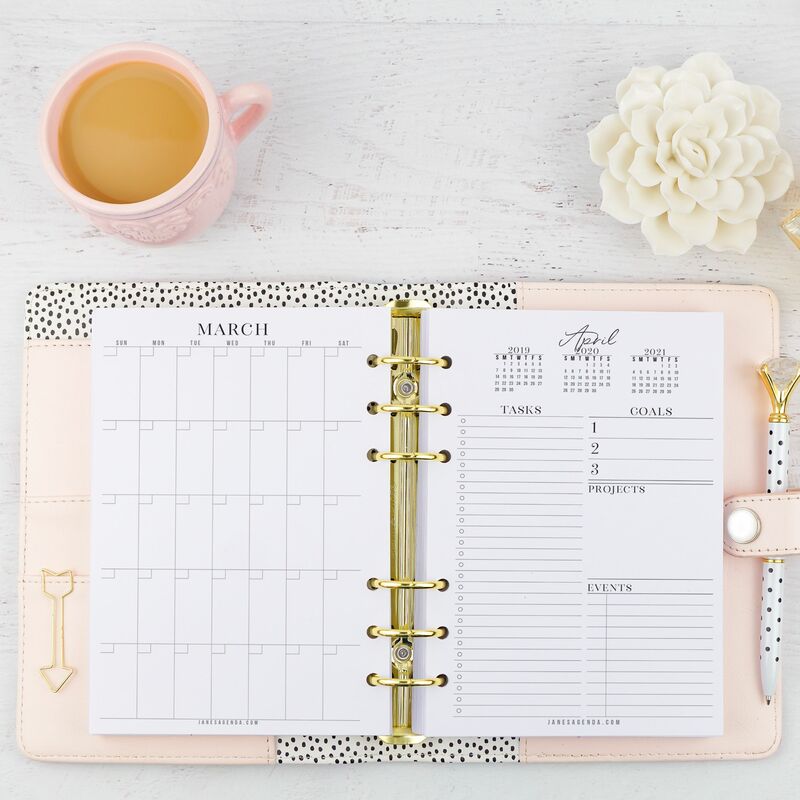 The monthly page of our Awesome Planner features an at-a-glance calendar for 2019, 2020, and 2021, ensuring you always have the dates necessary to fill out your undated pages. 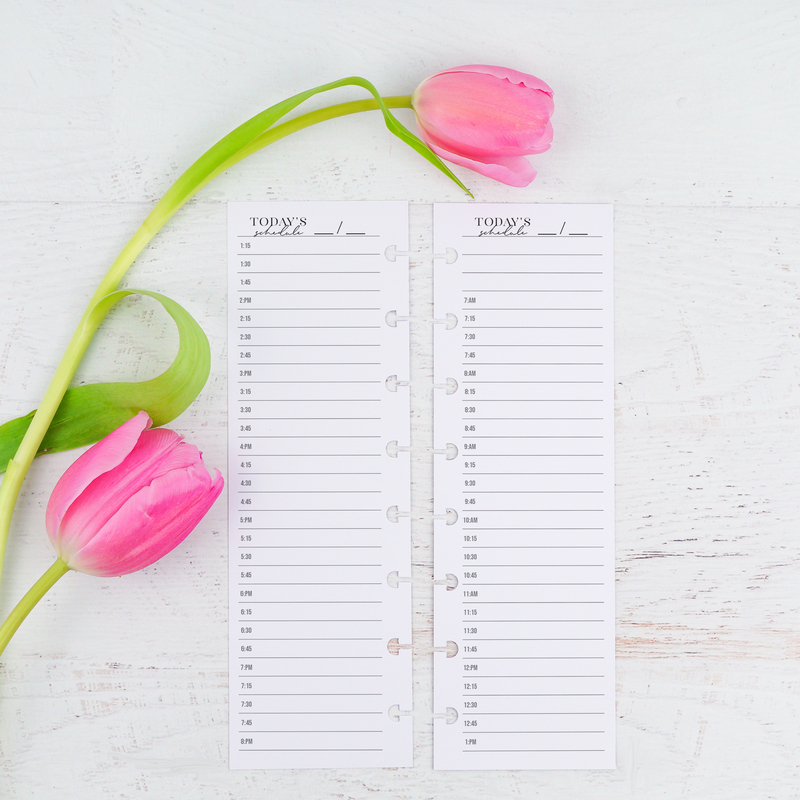 You'll also find task space, goals, projects, and an events list for keeping track of those extremely important dates.Every purchase of monthly pages provides you with 12 months, enough to last a year. This year we chose to offer this in a vertical format, due to popular request. The Awesome Weekly pages feature a Monday through Sunday layout that ensures your weekend stays together. You'll find a habit tracker space. Healthy habits are important. Write down those things you want to do daily without fail. Task list space that gives you enough room to write your tasks. On the back you'll find to blank list spaces to use as you please as well as a notes space. Previously, we included a single pack of daily pages that had task list on the front and appointment times on the back. No exaggeration to say that this was not well received. We listened. Now you have your choice between four different options. Each option comes with 90 sheets now. The daily page option includes hourly appointment times that are broken up into 15 minute increments. Time block like a pro. You'll see a space for today's date at the top of the front AND the back. This makes sure you always know what day you are looking at. There are three blank lines that can be used as you please. Perhaps for tasks or all-day events. Tiny task bubbles that beg to be filled in adorn these list half-sheets. Printed front and back, your list only has to be as short as you want it to. 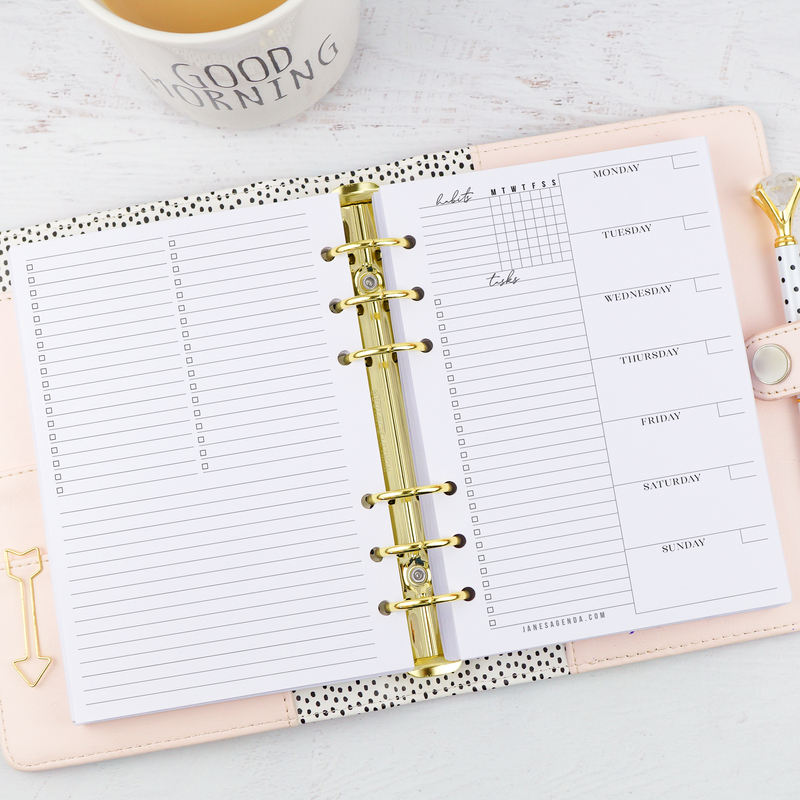 Not only are these excellent when used with the Awesome Planner, they also make a welcomed addition to any planner spread that needs an extra list. Dots don't judge and these tiny dot grid pages are perfect if you don't know how you'll use your pages. Our dots are .20 inches apart, making them perfect for most handwritten text and since five dots equals one inch it makes drawing size comparisons to scale a breeze. The most traditional of the note pages, lines aren't mysterious, they have no secrets and everyone knows what they are for. Make a list, take notes, write a story. A solid choice if dots make you nervous and you aren't sure how you'll use your pages. All of the inserts are available separately, of course, however you save nearly $20 when you buy the set. A set of pages that ensures your optimum productivity. These inserts are amazing! I love them so much! They are exactly as described and the paper quality is smooth and thick enough for my pen not to bleed through (I use a sharpie pen). Fast delivery. Will be ordering more from this shop. Simply the best planning system I have ever had. It is helpful to see my month, week and day all at the same time.